I came to this book via a recommendation rather than as a fan of the music. It’s well written and easy to read, and the story kept me interested from beginning to end. While the story is very much about Barnes life, the descriptions of life in Glasgow and as an immigrant in Elizabeth are eye opening. It’s shameful to see how the immigration programme let these people down. It’s a wonder he has survived the various challenges-both self inflicted and inherited. Can’t wait to read the sequel. What a hard book to write but well worth it- I hope it can help & inspire others. It's amazing that he has come out of it alive let alone so successful - he's a real talent & I'm sure his wife & kids proud of him. Thank you Jimmy for laying out your life's story for us to read. 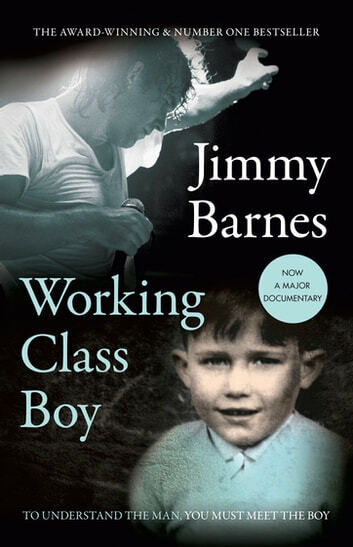 It is very well written and I could hear Jimmy tell his story. I thoroughly recommend this book. It opened my eyes to the forms and impacts domestic violence and childhood neglect can have. The snippets we get in the media don't go far enough to explain the long term impact to the person.